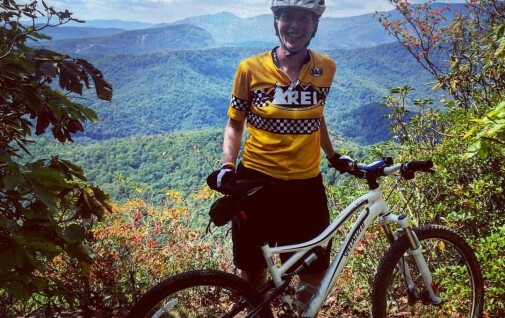 Mary did it right for her first mountain bike ride in Pisgah! We had a great time exploring Black Mountain trail with her on a guided ride. The leaves are already starting to change color! Pisgah in the fall is a magical place-don’t miss out!